That choking sound you hear is the echo of real estate deals not getting done, because suddenly, buyers can’t find houses they want. In markets where buyers are clamoring for properties, this spring may give sellers the rare opportunity to cut agents’ commissions, and in so doing, save a bigger slice of hard-won equity. In late March, the National Association of Realtors blamed low valuations (dang those appraisers!) and a shortage of new homes (huh?) for a February stall in pending home sales. One factor the NAR conveniently overlooked is the traditional 6% realty commission. With millions of homeowners owing more than their homes are worth, according to real estate data cruncher CoreLogic, that transaction cost is a burden many cannot shoulder. Those close to the line—underwater by just a few percentage points—could be able to make up the difference by trimming the commission. Success is not assured, but it’s probably worth investigating your options. After all, 6% of the selling price likely equates to more than 6% of your actual equity or savings. 1. Hijack the real estate selling machine. The multiple listing service is a powerhouse for getting your listing in front of the 90% of buyers represented by the National Association of Realtors. Sure, Craigslist is free, but market conditions change quickly. If you are serious about selling, get your house in front of as many people as possible. Use a discount broker who charges 1% or 2% (or a flat fee) to get your house online asap. 2. Make it worthwhile for buyers’ agents. If you are handling the sale yourself, you have to win over buyers’ agents by offering to cover their slice of the traditional commission (that’d be 3%, split between the agent and his or her brokerage). 3. Throw yourself into the deal. 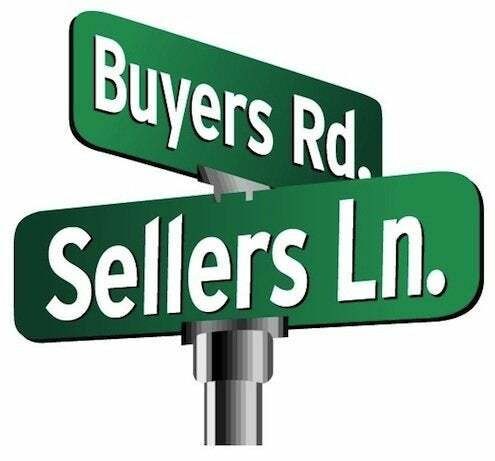 In your listing and supplementary marketing materials, promise to use your buyer’s agent as your own buyer’s agent. This of course works best when you are buying another home locally. But if you’re moving out of town, you could still cut in the buyer’s agent on a referral fee. Make your best virtual first impression with these tips on polishing your online listing.